The Great Hollow is an enormous hollow tree, perhaps the remains of an Archtree from the Age of Ancients, though it is also possible that the journey down the huge tree is a metaphorical one. The tree descends through the heart of Lordran. Basilisks and Mushroom People inhabit the tree, making the descent perilous, but it's also filled with treasures, like the Cloranthy Ring. There are also many Crystal Lizards here. 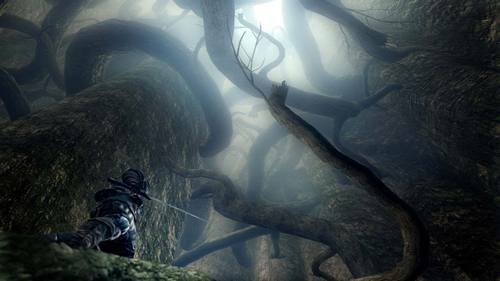 The branches of this same tree are visible from in Firelink Shrine. This ancient ring, engraved with a large green flower, is of unknown origin.